Boeing have been taking their 787 Dreamliners on the DreamTour, a series of 7 multi-stop flights, or segments, that take one of the 787 test aircraft around the world. Each segment visits multiple countries, allowing airlines & invited guests to get up close to the advanced new airliner. Perhaps saving the best for last, the DreamTour came to the Dreamtime during it’s 7th segment. As part of this segment, the aircraft visited Sydney, Brisbane, Melbourne, Auckland (yes, that’s New Zealand, we know) and then on to Cairns before heading north of the equator once again. Team PCDU were invited to tour the 787 while it was in Melbourne as guests of Qantas & Jetstar. Despite the cold, grey weather & occasional rain, our spirits were high & we were excited to once again encounter the Dreamliner. We’d met ZA001 at Oshkosh 2011 but been too busy to go through the interior so with ZA003 parked on the BAe Systems ramp, this was our chance to finally check out the cockpit. 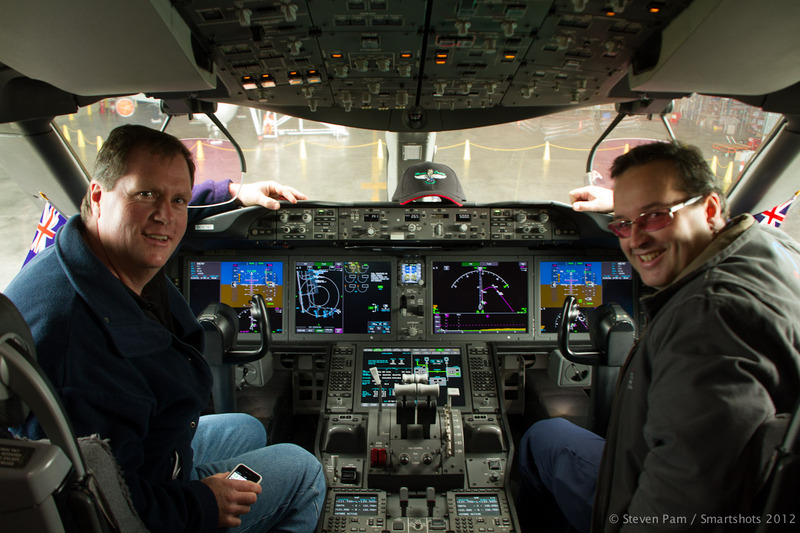 After chatting with Reid Templin, one of Boeing’s flight test engineers, we recorded an interview with Captain Todd Abraham, one of the Boeing 787 technical pilots flying the aircraft on segment #7. Todd answered our questions about the training program, the electric brakes, the engines, the fly-by-wire system, adherence to the Boeing philosophy and the tactile feedback provided by the control yoke & throttles. Like the other Boeing airliners, the computer systems on the 787 supplement & assist the pilot but do not override, despite being fully computerised. Our interview with Todd starts at 02:11. Following this interview we climbed on board and checked out the cockpit (cool!!!!!) before heading back through the demonstration interior which featured example seating arrangements, galleys, toilets, large dimmable windows, high ceilings (with the new storage bins) & crew rest areas. All very impressive but the chance to hang out & chat with some more Boeing flight test engineers at the rear of the aircraft & talk about systems, structures & designs was fascinating. Eventually we left & went back down to the tarmac to get some more photos of engines, landing gear, vents, inlets & more. From there we returned to the bus & went back to our vehicles, coming back to the reality of a cold, grey Melbourne day. 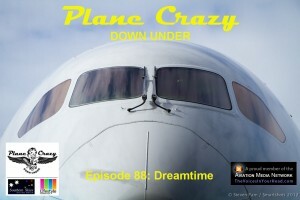 Team PCDU would like to thank Qantas & Jetstar for inviting us to join the 787 DreamTour here in Melbourne. 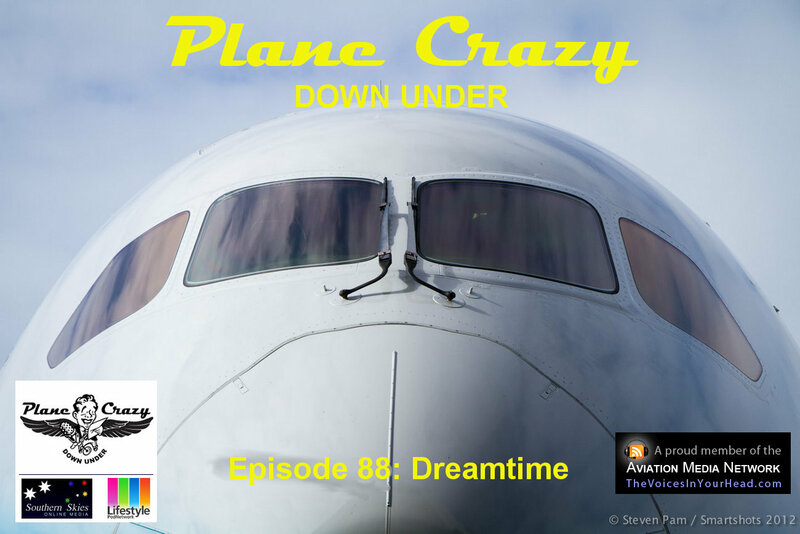 We’d also like to thank Boeing for bringing the 787 down under and for allowing us to interview Captain Todd Abraham as well as spend so much time chatting with their flight test engineers. Naturally, we’ve loaded our photos from the day as a 787 set on our Flickr stream for you to check out. We hope you’ve enjoyed this episode and that you can appreciate the need to balance a short-length ‘quick-cast’ episode against getting our interview published while the DreamTour is still underway.